Download MediaPortal 2 for free! 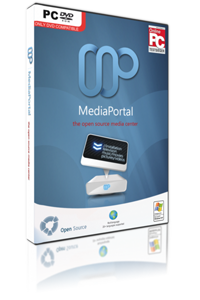 MediaPortal 2 is free open source media center software, ideal for turning your PC into a very advanced multi media center, or Home Theater PC (HTPC). See our Wiki to take a walk through the Installation process and learn about basic vs advanced installation. We strongly suggest to use the most recent one as we cant give support for outdated versions. Older versions can be found by browsing our project page at Sourceforge. If you are interested in the source code, you can find some detailed instruction in our Wiki. Testing, reporting issues and adding feature requests or improvement ideas are all essential ways to contribute to teh development of MediaPortal. It is through your feedback, MediaPortal has evolved and will continue to do so. If you like testing and wish to join our Test Team, then learn how to submit top notch bug reports. Have you thought of a way MediaPortal could be improved? Tell us! That's how many of our great features developed. 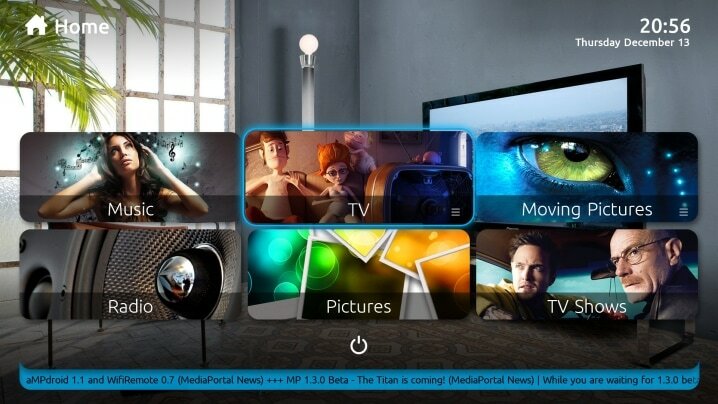 Team MediaPortal offers software applications and tools for your media center or home theatre PC (HTPC). The free open source media center, or Home Theater PC (HTPC, software. Interested? Find out More! The feature rich open source tag editor with a modern interface to tag all your music. Find out more on our MPTagThat Product page. Below you will find showcase videos, which demonstrate some features of MediaPortal. You can watch the videos in a lower resolution stream format, or you can also download them in full resolution (720 x 576). We recommend the DivX Web Player for best streaming quality. This video shows the main homescreen of MediaPortal and the basic homescreen. The basic functions of MyTV are part of this showcase video. If you want to know how easy it is to set up recording schedules in MediaPortal, then you should have a look at this video. Viewing your pictures in MediaPortal is so easy. Basic usage of My Music. This video shows how you can download coverart and albuminfo. How the My Weather plugin works is shown in this video.